Nostalgia time!! Scanned images of photographs taken on a 35mm compact. And slides taken on my Olympus OM1n, copied using an Epson V500 scanner. The quality does vary, but I hope they bring back some fond memories to all. As a source of reference, I have used the superb Allocation history of BR Diesels & Electrics books compiled by Roger Harris, for withdrawal & scrapping dates on some of these images. 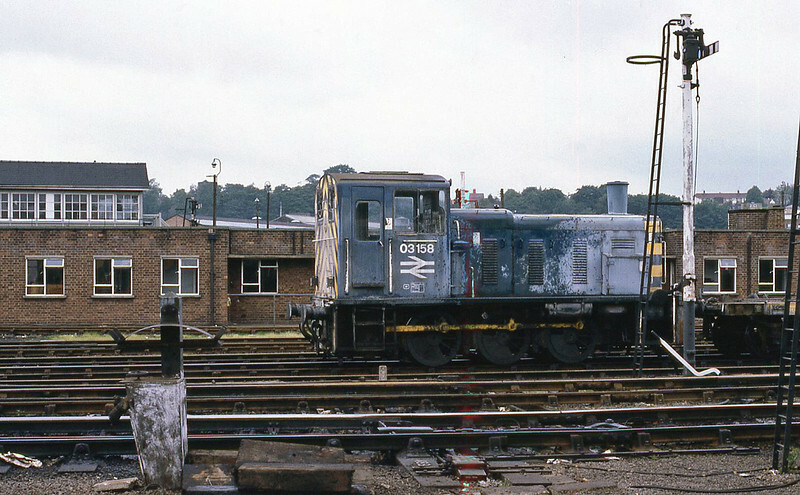 A very faded 03158 seen at Norwich 11/06/1985. Repeated trips through the carriage wash causing the bleaching to the BR blue.